Type however sloppily you want. BlindType knows what you mean to say. Typing on the iPhone is like squeezing sausages into a soda can – you can get it to work, but it’s not pretty. BlindType is changing that. The startup has created a new touchscreen keyboard program of the same name that changes size, orientation, and position to match your wandering fingers as they type. BlindType also features some of the most impressive typing correction software I’ve ever seen. The result is a practical touchscreen interface that knows what you meant to type, even if you make mistakes. Lots of them. In fact, you can type without looking at the screen at all! It’s amazing, and I got to see it in person when I visited with BlindType creators Kostas Eleftheriou and Panos Petropoulos in San Francisco. Check out their demonstration video below. It’s hard to believe that they developed this software in less than one year. 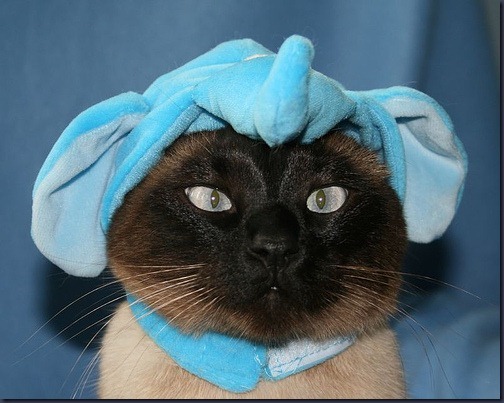 Why all the hullabaloo? BlindType is easing one of the biggest fears people have about touchscreen interfaces: they don’t trust a keyboard without feedback. BlindType doesn’t let you feel the letters but it does give you a lot of confidence in your typing. Kostas and Panos wanted a system that assumed the typist knew what they were doing. If you type one letter on the right, another on the left, and you don’t directly hit the keys, BlindType tries to figure out what you meant to hit. Sometimes it can surprise you. Kostas and Panos dared me to see how poorly I could type and still have the right word appear. I typed without really looking at the keyboard and entered something like “ubvunvryjankt”. BlindType knew I meant “inconceivable”. I was amazed. Kostas and Panos laughed, they get that all the time. That’s when I really felt challenged and I tried my absolute damnedest to defeat BlindType. I’m glad I did. I learned how robust the system is. We turned off the keyboard. It didn’t appear on the iPad screen at all. I typed in different directions, different speeds, and randomly changed the space I put between the letters I was trying to type. BlindType handled it all with relative ease. When I entered in new words the program didn’t know (like my last name), a little menu popped up letting me store them in a custom dictionary with just one touch. Easy. Of course it’s not perfect. As Kostas and Panos helped me see, the program has limitations. BlindType is a typing correcter, not a spelling correcter. If you mistype a word by adding or subtracting a lot of letters, it doesn’t work well. It comes with a spell-checker/auto-correction feature (or it will) but don’t expect it to perform wonders on both typing and spelling simultaneously. It’s good, but there’s only so much decoding that’s mathematically possible. There’s also limitations on the physical side of things. You have the choice of leaving the spacebar enabled or disabled. If you enable it, then there’s a fixed point on an otherwise unfixed keyboard. That means you have to actually hit the spacebar button where it’s supposed to be – that’s not always easy if you’re typing sloppily. If you disable the spacebar then spaces are inputed by swiping left to right. That’s a reasonable adaptation to ask of a user, but it takes a little getting used to. And Kostas and Panos are still working out how to get the program to differentiate between very fast typing and swiping. So if you type as fast as you possibly can sometimes the program thinks that two letters next to each other was actually you trying to make a swiping motion. Same with resting your fingers on the touchscreen – right now the program thinks you are trying to make a long swipe. Panos said they could solve that pretty easily in the future. More limitations? Sure: if you have to swipe left to right, then as you rotate the phone (or iPad) you have to be careful about what direction it considers left to right. There’s a little arrow to help you keep track of this, and the program reorientates itself after every new word, but you can, if you’re nasty, confuse BlindType by typing things upside down or backwards (I told you I felt challenged). Most users aren’t going to intentionally try to cause a failure though, so this is a very minor limitation. All in all, I was simply blown away by how BlindType transformed me from a timid typist into a bold keyboard-challenging beast. I was so confident in the program’s skills (in just a few minutes of using it!) that I was typing super sloppy and expecting the best. And I got it the vast majority of the time. With the product being so sound, I was naturally interested in how it worked, and how they developed it. That’s when Kostas and Panos got very tight-lipped. They’ve received so much attention, from apparently some big name people, that they can’t discuss anything. They won’t even generally describe how BlindType approaches the problem. I guessed it was analyzing the relative position between finger taps and they just gave me their best poker faces. No revelations at all. Kostas did allude to the fact that this is an AI project…but not much was said beyond that. Panos Petropoulos and Kostas Eleftheriou are cousins from Greece. They conceived and created BlindType in less than a year. What have you been up to recently? Clearly they think BlindType is going to be big. Will it succeed? Well, users are attracted to the promise of a better system, that much is clear. Touchscreen keyboards and predictive text algorithms are also a big business. Currently there are hundreds of millions of touchscreen devices sold each year and those numbers only look to rise as slate computers like the iPad gain ground. Nearly every single one of these machines needs a virtual keyboard and associated auto-correction software. When I asked Kostas and Panos which devices they were looking to port BlindType to, they simply said “all of them.” Or at least as many as they could. Their goal, which is also stated on their website, “is to become the largest player in the industry.” The potential rewards of that industry are large. Back in 1999, the T9 predictive type software sold for $350 million in stock to AOL, though it was sold again in 2007 for just $269 M.
In the short term, BlindType is going to focus on mobile touchscreens. The program runs on iPad and iPhone and will be running on Android phones soon. That’s millions of units right there. But Kostas and Panos talked about it eventually being used on all kinds of touchscreens, from new PC desktops to street kiosks. And what about phones with little plastic keyboards like the Blackberry? BlindType could easily be adapted to improve accuracy there too. 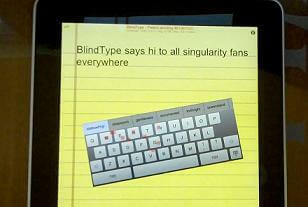 In fact, chances are that BlindType could be used in just about every keyboard (virtual or physical) there is. Think about that. This is a huge product. It’s probably coming to you soon. While they won’t reveal specifics about product launch, Kostas and Panos said that beta testing will happen soon. Working with the product as I did, it seemed really close to ready. Kostas said that it takes about 150 milliseconds for BlindType to process each word, and the industry standard is 200 ms, so that’s a good sign this product is good to go. As BlindType makes more announcements about it’s progress, we’ll keep you up to date. And what does all of this have to do with the Singularity and accelerating technology? Artificial intelligence is analyzing flawed human output and predicting what the person ‘really meant’. There’s a lot of potential there. BlindType is a narrow application, but as AI gets better at interpreting human input, it will let us use machines more naturally. Right now we’re worried about virtual keyboards, but think about brain computer interfaces. Computers won’t just have to decode sloppy typing, they’ll have to decode sloppy thoughts. Programs like BlindType are only the beginning. As machines and humans become more interconnected, we’ll need more ingenious ways of building confidence in those connections. 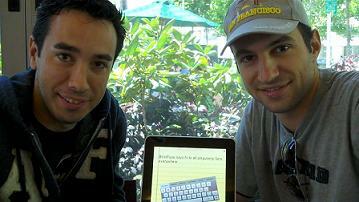 Kostas and Panos may have solved virtual keyboard problems in a few months. Let’s hope our future user interfaces will be able to be improved as quickly. A new cosmology successfully explains the accelerating expansion of the universe without dark energy; but only if the universe has no beginning and no end. Wun-Yi Shu at the National Tsing Hua University in Taiwan has developed an innovative new description of the Universe in which time and space are not independent entities but can be converted back and forth between each other. In his formulation of the geometry of spacetime, the speed of light is simply the conversion factor between the two. Similarly, mass and length are interchangeable in a relationship in which the conversion factor depends on both the gravitational constant G and the speed of light, neither of which need be constant. So as the Universe expands, mass and time are converted to length and space and vice versa as it contracts. This universe has no beginning or end, just alternating periods of expansion and contraction. In fact, Shu shows that singularities cannot exist in this cosmos. Good news for all you aspiring Craig Venters out there. Before the end of the year, synthetic biologists will have a stocked factory of DNA building blocks with which to remix microbe life forms – one that will provide standardized, reliable components for the most creative of life sciences. Best of all? It’s free. As we previously reported, the International Open Facility Advancing Biotechnology (BIOFAB) is a project to produce thousands of standardized genetic “parts” for researchers to use in the pioneering work of synthetic biology. Started with a seed grant from the National Science Foundation (NSF), BIOFAB is the world’s very first biological design-build facility. They will be providing bioparts to researchers gratis to speed along national research into new drugs, biofuels, chemicals, you name it – all the promising frontiers of synthetic biology. And they should be open for business within 6 months. So what exactly is a synthetic biology “part”? Good question – that was exactly the topic of the project’s first human practices report (found here). The short answer is that biological parts are small snippets of DNA with basic, well-understood functions (e.g. the production of a certain protein). Building a microbe from scratch is no easy task, especially if you have to identify and characterize all of these building blocks yourself. That’s exactly what synthetic biologists have been doing – it costs millions of dollars and takes years of legwork. 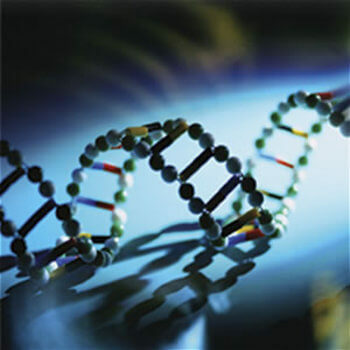 Synthetic biology is an emerging field that combines biology and engineering to reconfigure DNA into desirable results, generally microorganisms that can be used to produce drugs, perform chemical reactions, or work as fuels. But because the field is so new, there haven’t yet been standards set for what works and what doesn’t. Characterizing these basic components (and providing them) will give a common engineering language for researchers working on very different problems. It will also make potential progress faster and cheaper. But researchers will still have their work cut out for them. 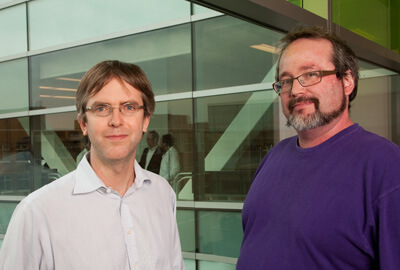 One of the most problematic issues for synthetic biology – and one that BIOFAB deals with regularly – is that DNA snippets are only “parts” in the context of some “whole.” Genes work in complex networks, altering one another’s expression in interdependent ways; removed from the context of a larger genome, the function of any particular genetic strand changes. This makes the issue of isolating concrete characteristics to each part a difficult task: it acts differently depending on the surrounding DNA. It’s significant that this difficulty is precisely what has been a major road block for post-Genome Project genetics more generally. So who sets the standards? Consider it Biology 2.0. Collaborative, open source efforts from many different labs have resulted in the emergence of what are called BioBrick standard parts. Many of these have been collected and housed at the Registry for Standard Biological Parts, founded in 2003 at MIT (we ran a story on this last year). The director of BIOFAB, Drew Endy of Stanford, was instrumental in shaping BioBrick part standards – and now his team is building a factory to provide them to the research world. BIOFAB was launched in January of this year, and is currently a small scale operation (they have about 10 staff members total). The project is housed in a Lawrence Berkeley National Labs building in Emeryville, CA, and is a collaboration between researchers from UC Berkeley and Stanford (apparently despite the football rivalry). Perhaps a dubious award to some, BIOFAB was named “Best Local Innovator” by the East Bay Express, a Bay Area paper which also recommends the taco truck near my house. Suffice to say I trust their opinion.